before a transconductance measurement, you need to calibrate this circuit. 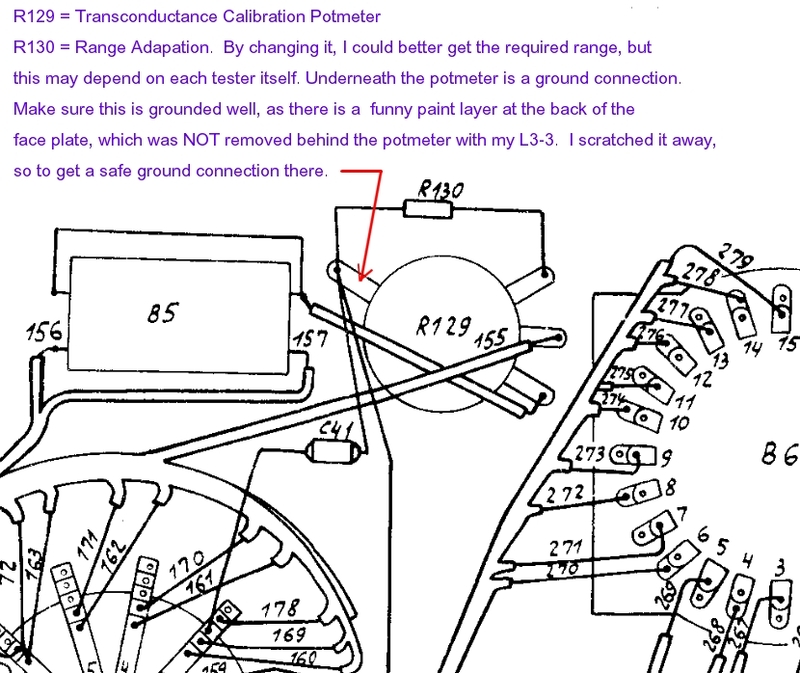 This method greatly improves the accuracy of the measurement, making the L3-3 probably one of the best (or THE best) tester there is, for transconductance measurements. Measuring transconductance with an audio frequency AC signal is the best way, as this eliminates the mains hum. (and this would make your Gm measurement be wrong). Mains hum also comes in when you approach the tube with your hand. Another factor is tube unlinearity, will make the Gm measurement not accurate, because unlinearity is just a form of distortion, and distortion ADDS harmonics to the signal. These harmonics will increase the Gm reading, which is a measurement error. For this reason the L3-3 works with a VERY precisely tuned band-pass filter. 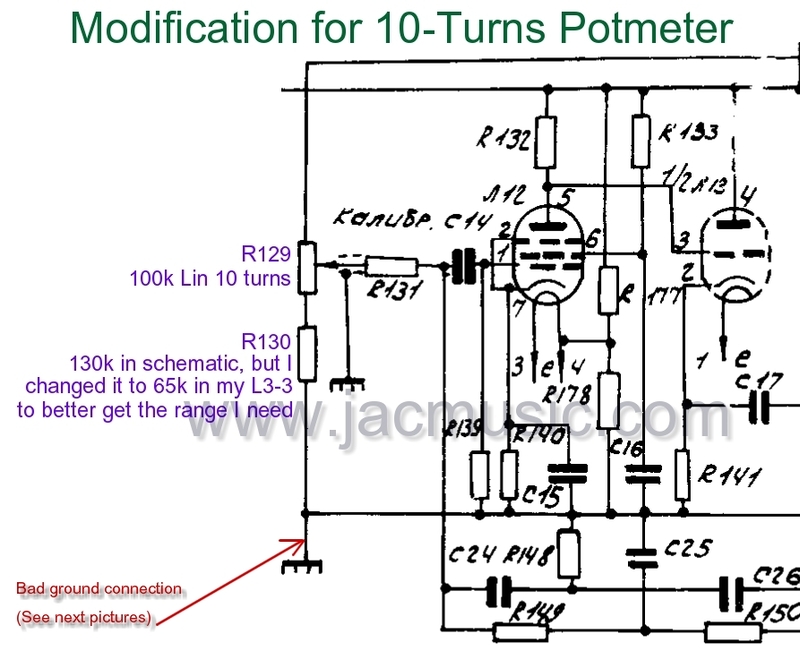 However since this circuit is temperature dependant, and since the aim is precision, you need to calibrate this before beginning to work with the L3-3. Only thing is, this calibration needs to be done too often. This is what pot mter R129 is for. Sometimes before every single measurement, which is annoying when using the L3-3 for testing many tubes of one kind. 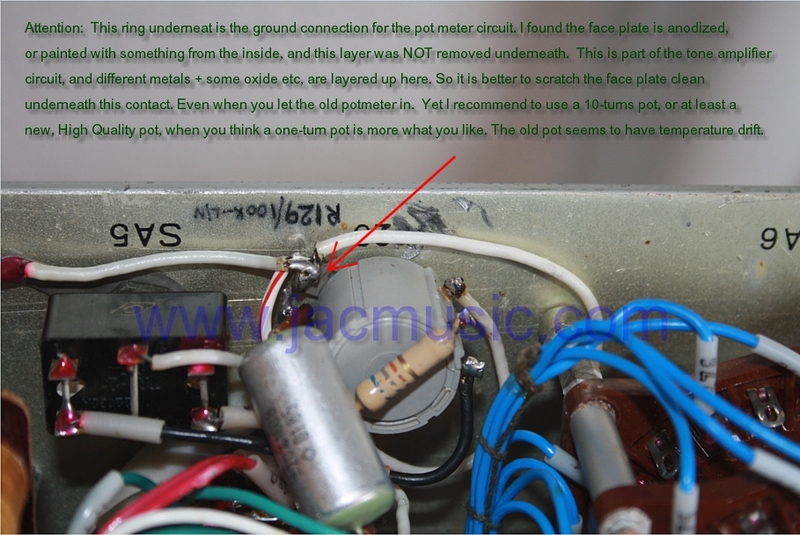 I found when the pot meter R129 is replaced by a wire wound 10-turns pot meter, the circuits stays stabile for a much longer time, and working comfort increases significantly.